Baking is so therapeutic when it turns out the way you want it to be. 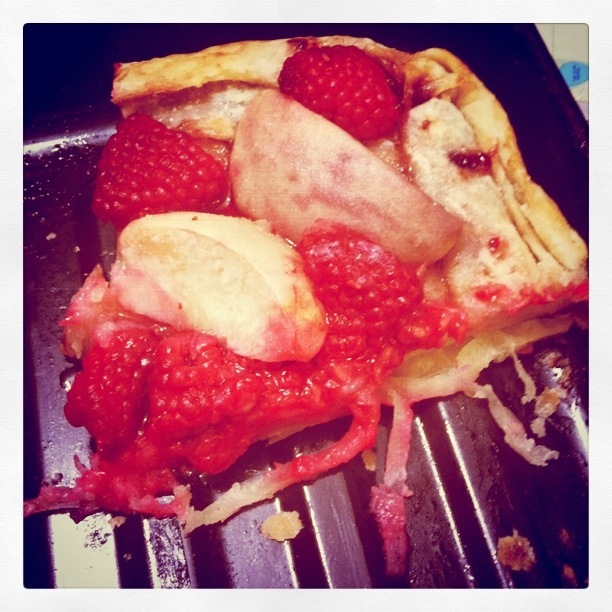 I am glad the short shelf life of the raspberries prompted us to bake the peach & raspberry tart on a busy Monday night. All it took was filo pastry, butter, fruits, caster sugar and some jam to create this crispy fruity pastry in less than an hour. I can’t wait to try it with other fruits and perhaps top it with a scoop of vanilla ice cream. Speaking of which, I just bought some vanilla pods. Stay tune for more! This entry was posted in Food, Fun and tagged baking, dessert, food, photography, tart by lifestartsonfriday. Bookmark the permalink.